You can get away with a lot of stuff when your mom is around. 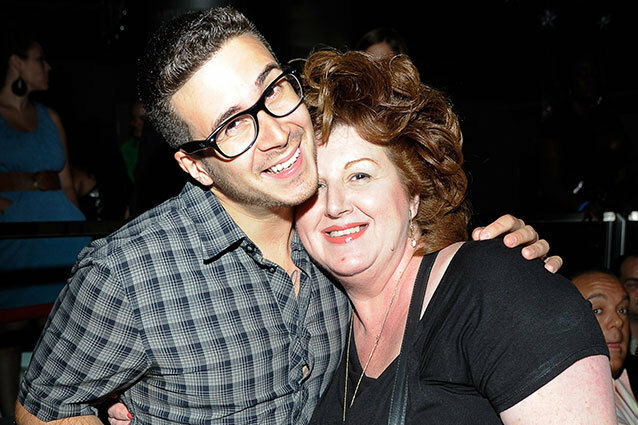 Just ask Vinny Guadagnino, erstwhile Jersey Shore star and the host of MTV’s new talk show, The Show With Vinny. Each week on the show he’ll invite big-name celebrities inside the small Staten Island apartment he shares with his Italian mother, Paola, and the rest of his loud but loving family. The Show With Vinny premieres Thursday, May 2 at 10 PM ET/PT on MTV.